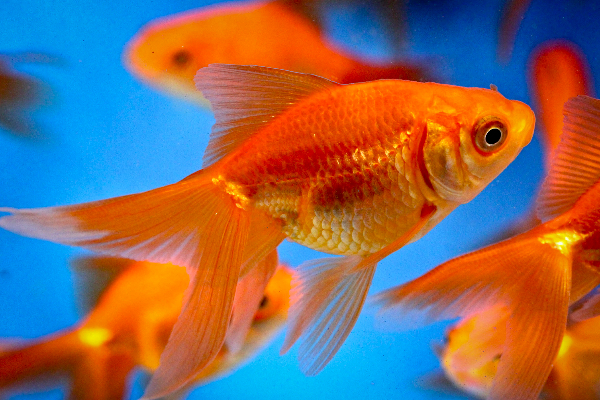 A Beginner’s Guide to the Goldfish Lifespan. A great joy for young children is their first goldfish; one of the first heartbreaks is learning how short a goldfish lifespan can be. Many parents who have made multiple treks to the pet store will offer that they don’t live long at all, but nothing could be further from the truth. Actually, they will live as long as the quality of their care allows. Although it was an abnormal and unusual situation, the oldest goldfish on record with the Guinness Book of World Records lived to the ripe old age of 43. Measuring in at around 4 ½ inches from nose to tail, Tish the goldfish was won as a prize in 1956, but created the biggest sensation at its death as the passing of the longest lived goldfish in history. Parents who have spent good money replacing the quick dying pet store variety goldfish may scoff, but the typical common goldfish lifespan is around 20 years. The longevity of this shimmery, orange fish will largely depend on the care that it is given. Cooped up in the dank waters of a dime store variety fishbowl with no ventilation or pump system to clean the water, the small goldfish faces the probability of acquiring numerous diseases that can threaten its health and very life. A number of factors, such as the tank size, the equipment used in the tank, the food provided and how many fish share the space will dictate the quality of life for the fish. The healthier the conditions provided for the environment of the fish, the longer the fish are likely to survive. The best home for the goldfish is an actual fish tank as opposed to a fish bowl. Think of it as trying to replicate the actual environment rather than setting up a home aquarium. A longer and broader tank is better for the fish than a trendy tall and thin one; providing better oxygen supply that is essential for the fish’s existence. A larger tank will inhibit waste buildup; a 30 gallon tank is considered prime. It should include a cover of some type to keep other pets from getting into the tank and prohibiting the fish from jumping out (yes, it does happen). 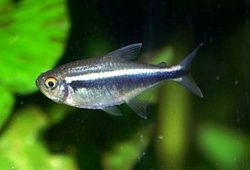 The most natural lighting possible should be provided; not continual 24 hour brightness, but daytime lighting with dimming in the early evening and darkness throughout the nighttime will imitate the fish’s natural environment. Keeping the aquarium clean is a crucial task. 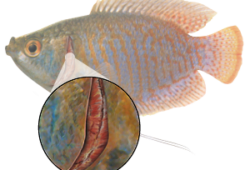 Food that remains floating in the water can attract bacteria and provide a dangerous element for the fish, and excrement left in the water merely serves to contaminate the surroundings as well. A good filter that continually cleans the tank and keeps the water crystal clear will provide a great atmosphere and extend the goldfish lifespan accordingly. At the same time, aquarium pumps should be incorporated to provide a steady flow of oxygen into the water. Pump sizes are chosen according to the size of the fish tank, so be sure to do your research for the correct size. Water in an aquarium will adjust in temperature to the air surrounding it. 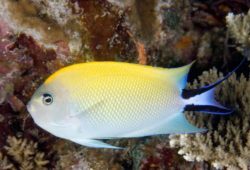 While humans can adapt to the fluctuating environment by adding or removing clothing, fish are not so lucky. Rather, they need to have a steady temperature that will keep their bodies at an even temperature as well. Investing in an aquarium heater will enable you to provide the accurate water temperature levels that the fish need to thrive. One final note to ensure the goldfish lifespan of your next swimming pet is to purchase a healthy fish. Then simply follow these easy steps to provide a natural environment, and your goldfish will be in your family for years to come.